While now a rarity, ski facilities at rural colleges were once a common feature. Lift served skiing at colleges has followed trend similar to that of public lift served ski areas in New England. In an era in which a rope and slope were adequate, many colleges and universities, such as Amherst, Norwich, and Williams, featured on-campus or near-campus facilities. As larger ski areas with advanced technology emerged, and as liability insurance became a significant factor, a majority of these college areas shut down. 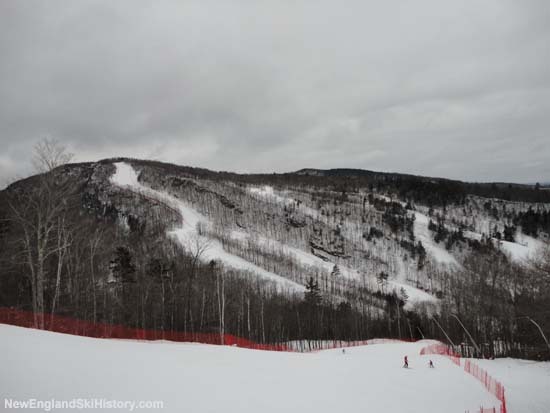 The only two survivors in New England feature robust ski facilities, complete with chairlifts and snowmaking. To help cover expenses, the areas are open to the general public.